Aughaval is the main burial ground in Westport parish today and is quite unusual in that it was used by both Catholics and Protestants. It was originally a large and important early Christian monastery site with churches on either side of the road. However, today only the ruins of one remain. 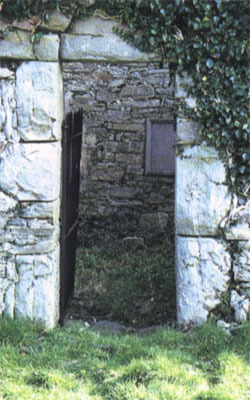 Its square-headed doorway is one of the few examples of early church architecture in West Mayo. Legend has it that there was a magic stone on this site called Leac Cholm Cille to which people turned to wish each other bad luck. The stone was broken by order of the priest in the 18th century. The graveyard to the north of the road has an association with St Patrick. Here there is a stone with a large hollow, where the saint was supposed to have prayed, giving rise to the name Gloonpatrick, glÃºin PhÃ¡draig, or Patrickâ€™s knee. These stones are known archaeologically as Bullaun Stones and were more likely associated with metalworking. 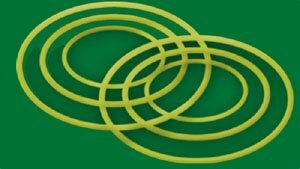 Is Ã­ Aughaval an phrÃ­omhreilig i bparÃ³iste Chathair na Mart inniu agus tÃ¡ sÃ­ sÃ¡ch neamhghnÃ¡ch mar go bhfuil idir Chaitlicigh agus PhrotastÃºnaigh curtha inti. Ba lÃ¡thair mhÃ³r agus thÃ¡bhachtach mainistreach luath-ChrÃ­ostaÃ­ a bhÃ­ anseo trÃ¡th agus bhÃ­odh sÃ©ipÃ©il ar gach aon taobh den bhÃ³thar. NÃ­l ach fothrach amhÃ¡in ar marthain fÃ³s Ã¡fach. TÃ¡ a doras le ceann cearnÃ³gach ar cheann de na corrshamplaÃ­ dâ€™ailtireacht luathchrÃ­ostaÃ­ in Iarthar Mhaigh Eo. De rÃ©ir an tseanchais bhÃ­odh cloch dhraÃ­ochta ar an lÃ¡thair seo ar a dtugtaÃ­ Leac Cholm Cille a bhÃ­odh Ã¡ hÃºsÃ¡id ag daoine chun mÃ­-Ã¡dh a ghuÃ­ ar a chÃ©ile. Briseadh an chloch ar ordÃº sagairt san 18Ãº haois. BhÃ­ baint ag an reilig Ã³ thuaidh den bhÃ³thar le Naomh PÃ¡draig. TÃ¡ cloch anseo a bhfuil dhÃ¡ chuas inti, Ã¡it a ndeirtear a mbÃ­odh an naomh ag guÃ­, agus is as sin a thagann an t-ainm GlÃºin PhÃ¡draig. Tugtar BallÃ¡in ar na clocha seo sa seandÃ¡laÃ­ocht agus is dÃ³ichÃ­ go raibh baint acu le miotalÃ³ireacht.